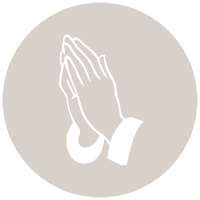 If you wish to send in a Prayer Line intention, please fill out the form below. All intentions go directly to the parish office. If you are interested in serving with our Prayer Line Ministry, please call the office, 508-477-7700 or send your contact information (name and email address) to office@christthekingparish.com. Prayer Line intentions are sent by email each Monday through Friday afternoon to those who serve in this ministry. Name - Please leave the first name only for whom we are praying. If you would like them to remain anonymous than say parishioner, family or friend in need. Please share your prayer request.